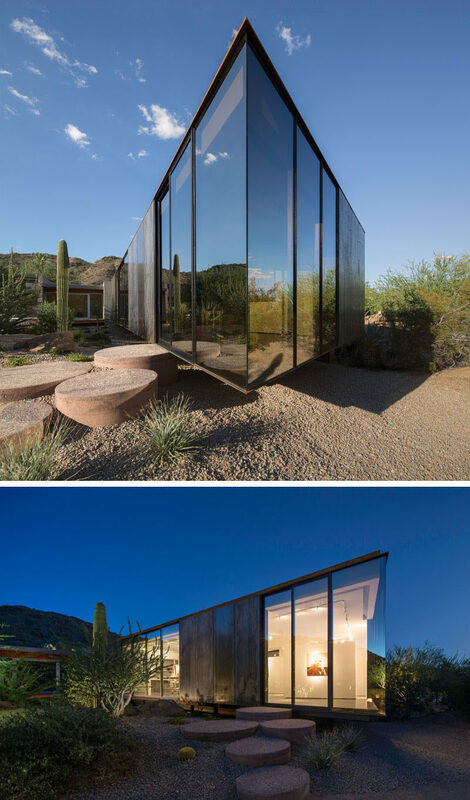 Chen + Suchart Studio have designed ‘The Little Art Studio’, a 1400SF addition to an existing contemporary stucco and glass residence in Paradise Valley, Arizona. 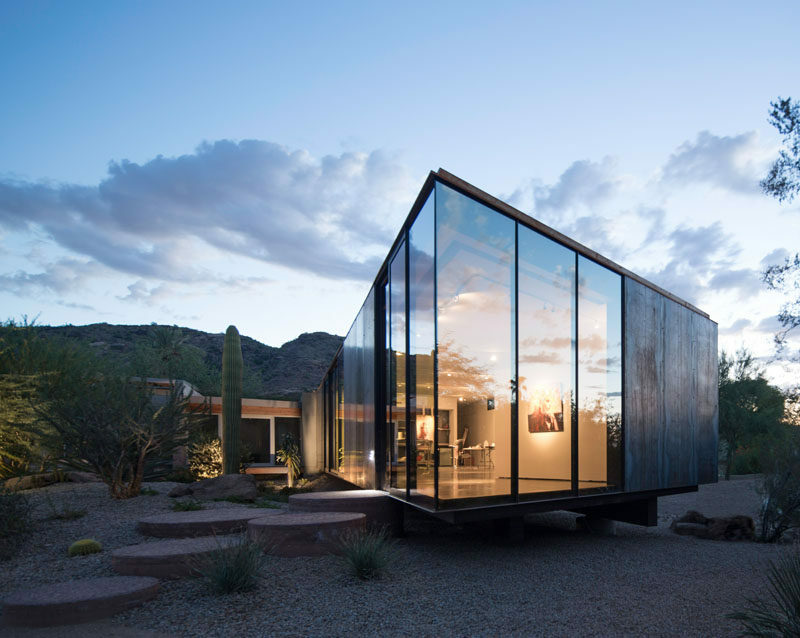 The art studio has a weathering steel and glass exterior, with a steel beam floor structure and composite concrete deck. 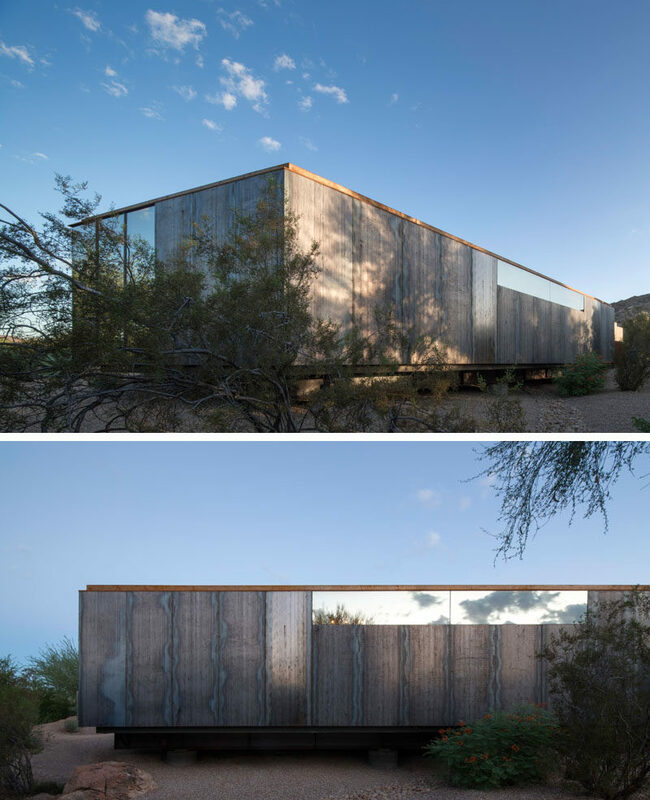 The structure is supported by six 36” diameter concrete caissons allowing the studio to “float” over an existing wash by touching the ground in only these six locations. 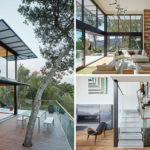 The designers used standard steel panels that allowed for minimal preparation and fabrication time. 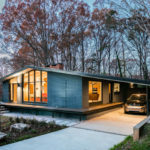 High thermal performing reflective insulated glazing has been used for the windows, to allow for maximum heat rejection while offering the most reflection. 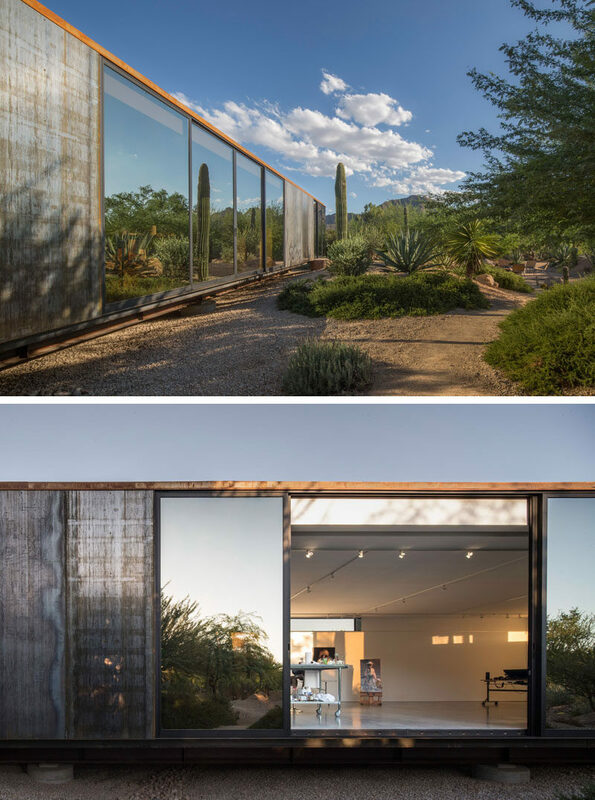 The interior of the art studio is configured as an open plan, allowing the artist to have the freedom to use the space as a working artist’s studio or as a gallery space. Three large movable partitions can be configured in any manner to allow for spatial diversity and increased surface area for hanging artwork.